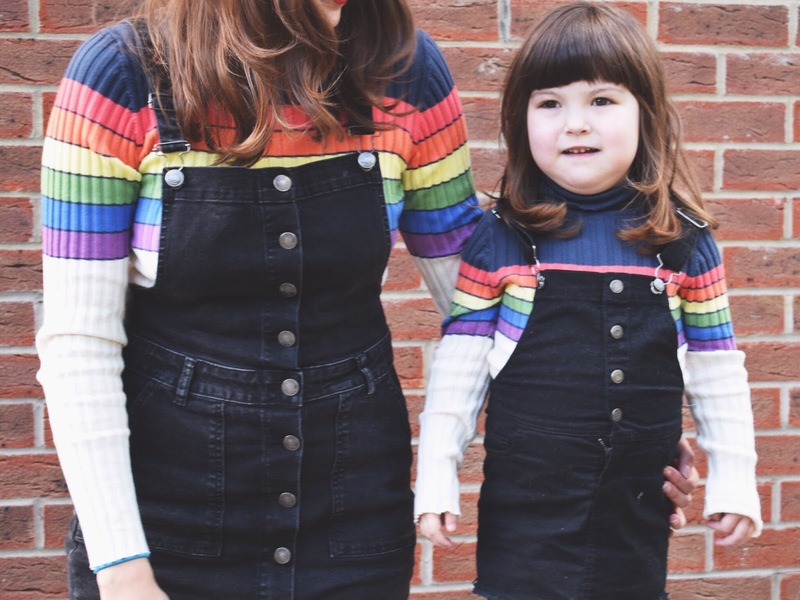 One of my most used phrases is, 'I wish that came in my size', and with my latest discovery being to squeeze myself into age 14 clothes from brands such as Boden, Next and M&S, this has finally become a possibility and is fast becoming my new favourite way to twin - seeing as kids clothes can be so much more exciting (and the M&S childrens pyjamas being the comfiest things, ever) this may turn into a regular habit even when I'm not trying to match us up. 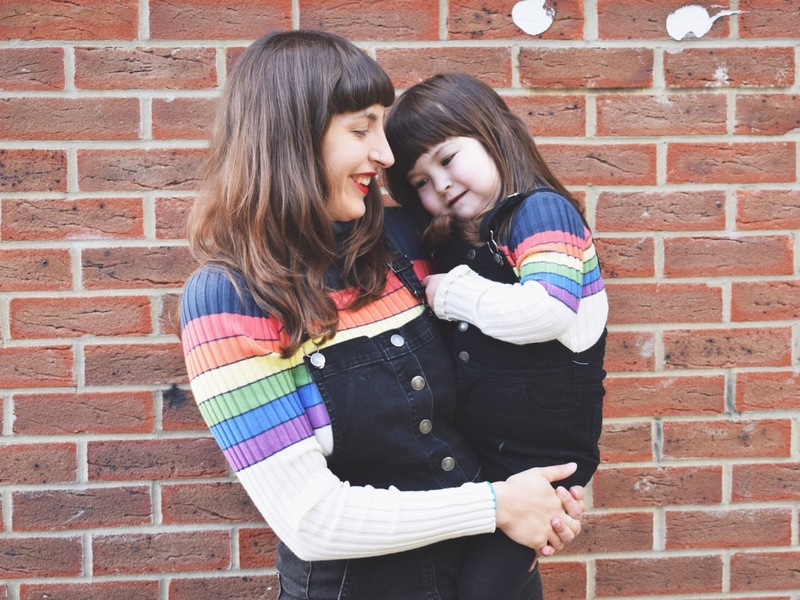 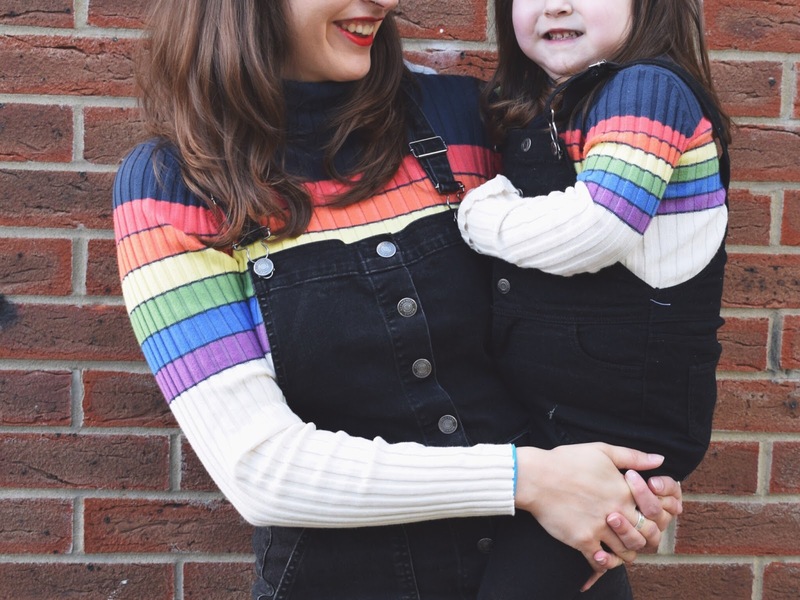 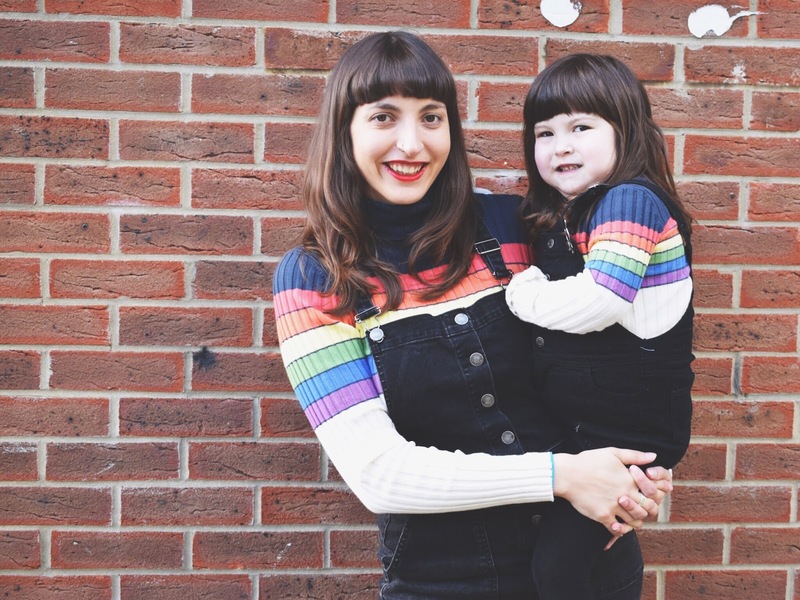 My first attempt at this was with this incredible rollneck jumper from Next (which I couldn't resist for obvious reasons) back in the autumn but due to housing Ted, I've had to wait until now to get in it - but oh my, wasn't it worth the wait? 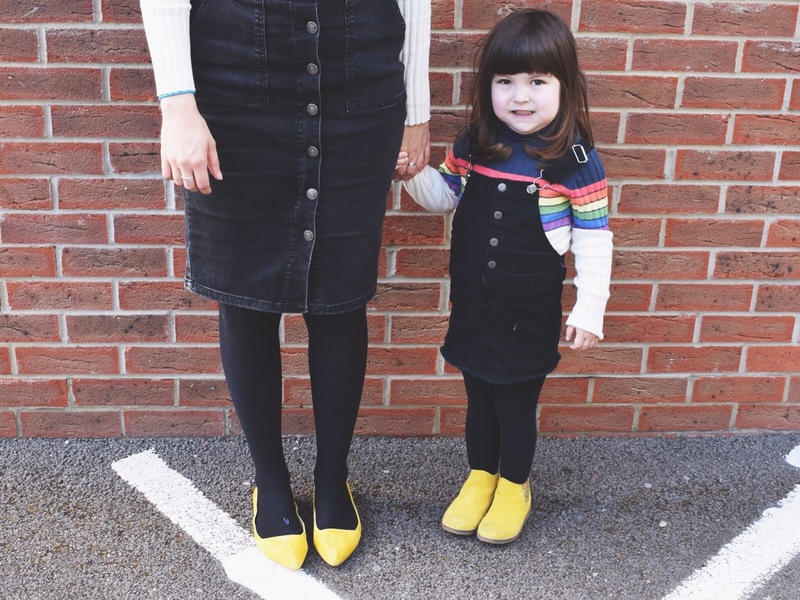 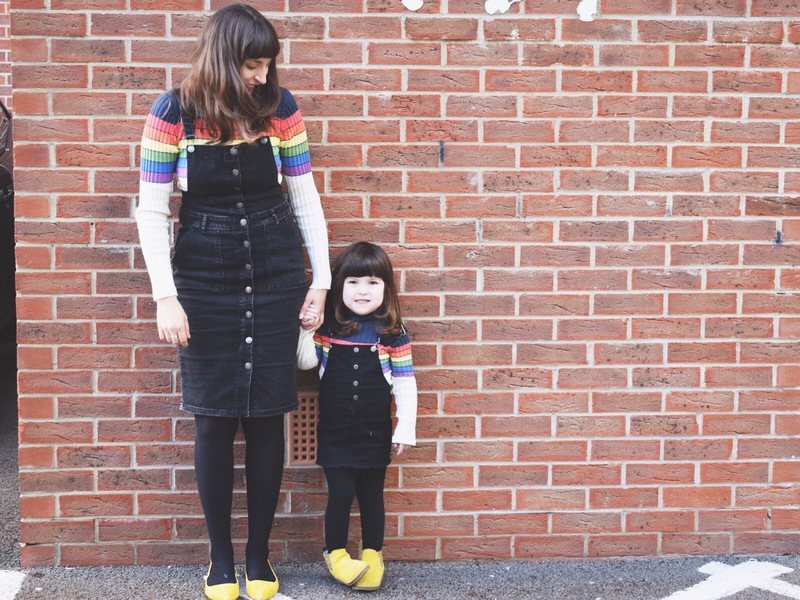 Being quite vibrant, we popped them under denim pinafores for mixed weather spring-wear but added an extra pop of colour with our shoes.